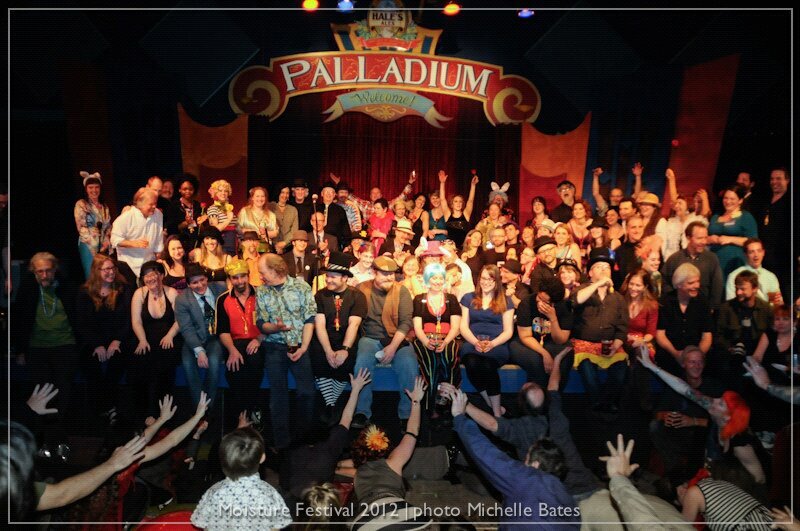 This is a cropped photo of a fraction of the many volunteers that worked together to staff a recent Moisture Festival. Many of these hard working happy folk will be back to work for the pleasure of being a part of this event and a contributor to the laughter that is the real engine that makes this thing move. It’s not clear to us how many in the audience recognize the fact but the organizers and the experienced performers know that the applause is shared with these partners. Thank you.